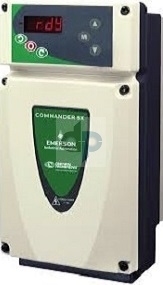 The Commander SX drive is a rugged, dependable, variable speed drive with the added benefit of being completely wash-down. Designed for the food industry, this NEMA 4X enclosed drive can be mounted in close proximity to motors for quick accessibility. The Commander SX is engineered in 3 frame sizes and is offered in ranges from 1/2 HP to 5 HP 230 VAC input or 1 HP to 10 HP 480 VAC input. Customize your drive needs with 8 preset speeds, multiple parameter levels, built in potentiometer, and DC injection breaking. 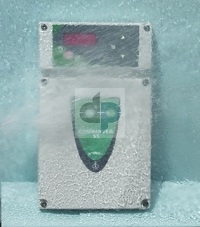 Modbus RTU is the included protocol but, other communication modules can be added. Upgrades include SXSoft advanced parameter setting software, PX-LCD NEMA 12 handheld remote keypad, PX encoder feedback module and XPressKey for drive-to-drive parameter transfer. Select a Commander SX for your harsh environment and experience "Motion Made Easy" even in the worst conditions.